PremiumSportsCenter: BALOTTELI'S GIRLFRIEND SHOWS OFF DIAMOND ENGAGEMENT RING FROM HIM ON TWITTER. HE'S HE SETTLING DOWN FINALLY? BALOTTELI'S GIRLFRIEND SHOWS OFF DIAMOND ENGAGEMENT RING FROM HIM ON TWITTER. HE'S HE SETTLING DOWN FINALLY? Former Manchester City player and Ghanian born Italian bad boy, Mario Balotelli looks like he is taking to life in Italy and finally settling down after rumours went round that he popped the 'Will U Marry me?'' 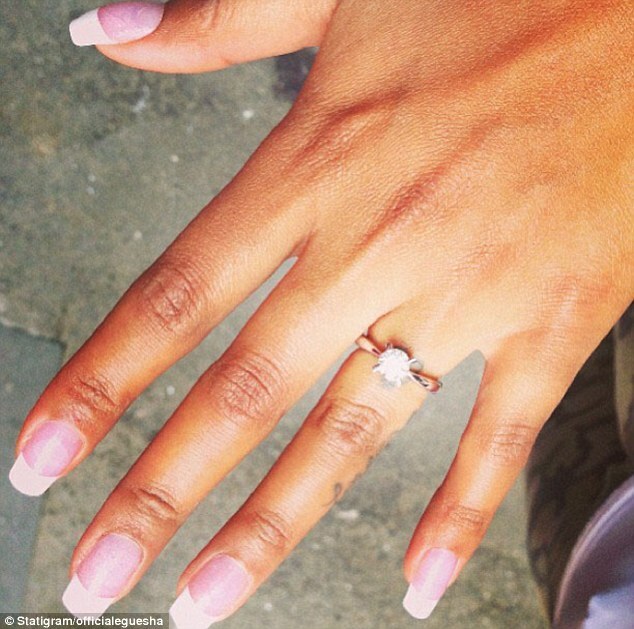 question to girlfriend Fanny Neguesha with an amazing £100,000 engagement ring.wow! The couple only began dating six months ago but Balotelli and the Belgian beauty are believed to be very happy and looking to tie the knot later this year. 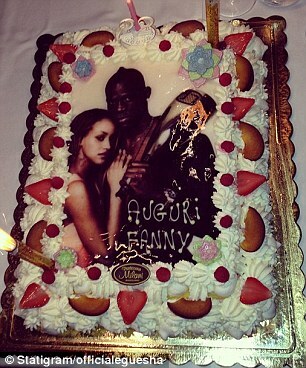 The model received a birthday cake from her family that included a picture of the happy couple. A source told The Sun: ‘Mario and Fanny have talked about getting married before but this time it’s for real. The footballer had previously been in a relationship with 25-year old presenter Raffaella Fico who claims her four-month old child Pia is his daughter. Mario reportedly denies the fatherhood claims, and has asked for a paternity test to prove it before he sees the baby. Balotteli is currently in with the Italian football national team preparing for the Confederations Cup in Brazil.